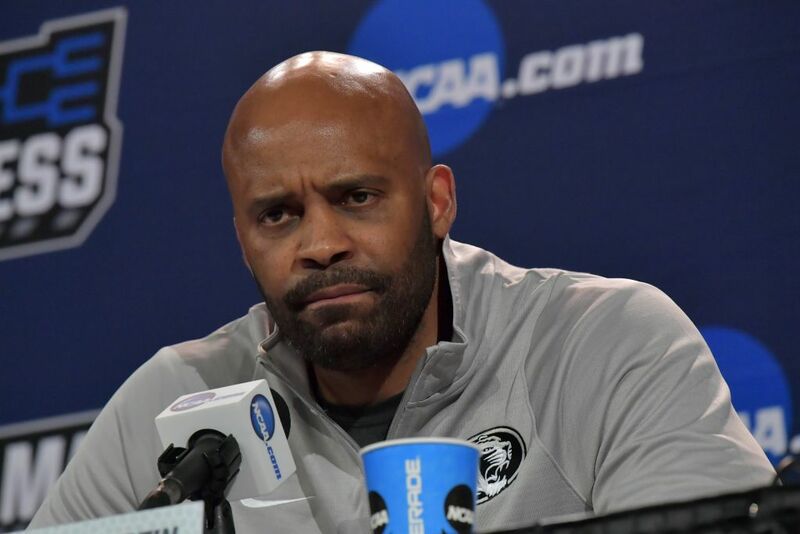 NASHVILLE, Tenn. – For all the kind words that Missouri coach Cuonzo Martin heaped on Florida State’s Leonard Hamilton on Thursday afternoon, perhaps Martin’s greatest show of respect was in the way that he referred to Hamilton while fielding questions during his press conference here at Bridgestone Arena. “Seems like Coach’s teams always have length, athleticism,” Martin said at one point. Finally, Martin recalled “wanting to meet Coach” and, when he finally did, being taken aback with Hamilton’s calm demeanor and his leadership traits. For the 46-year-old Martin, 23 years Hamilton’s junior, there’s no need to call Hamilton by any other name. “Coach” will suffice. Each coach expects an atmosphere of respect and admiration when Hamilton’s ninth-seeded Seminoles meet Martin’s No. 8-seed Tigers in the first round of the NCAA tournament on Friday night. “If there is such thing as a mentor in this profession, he would be one for me,” Martin said. Martin believes he first met Hamilton in 2000, when Hamilton was about to embark on a stint with the NBA’s Washington Wizards and Martin was first setting out as an assistant at his alma mater, Purdue, under coach Gene Keady. In Hamilton, Martin saw someone who had blazed a trail that he hoped to walk: An African-American coach who played the game, started coaching at a young age and climbed through the ranks to take control of his own program. Naturally, Martin sought to learn as much from Hamilton as he could. Hamilton, for his part, recalls meeting Martin and seeing something in him that he wanted to help nurture. Those conversations often have little to do with the Xs and Os on a basketball floor. Martin said that he and Hamilton have discussed many of the challenges surrounding their profession – how to reach their players, how to help them in their personal lives, and how to avoid the missteps that can sometimes happen in the coaching world. Hamilton poked a little fun at himself and said that, after more than 40 years in coaching, he knows where to find all the potential pitfalls. “Sometimes it’s good to have somebody like myself, who has made a lot of mistakes,” Hamilton said. “You know, I’ve learned (a lot), not because I’ve been smarter than anyone else, but because I’ve made enough mistakes, and sometimes mistakes will teach you how not to make the same mistake again. While they share a friendship on and off the floor, both Hamilton and Martin will be looking to succeed at the other’s expense on Friday night. Hamilton said he expects a healthy challenge from Martin’s Tigers, who in his first year at the helm won 20 games – despite combining for only 27 victories in the three years prior to his arrival. And Martin believes he’ll see all of Florida State’s typical hallmarks under “Coach” – length, athleticism and tenacious defense.